“CONDUCTING SERVICE. 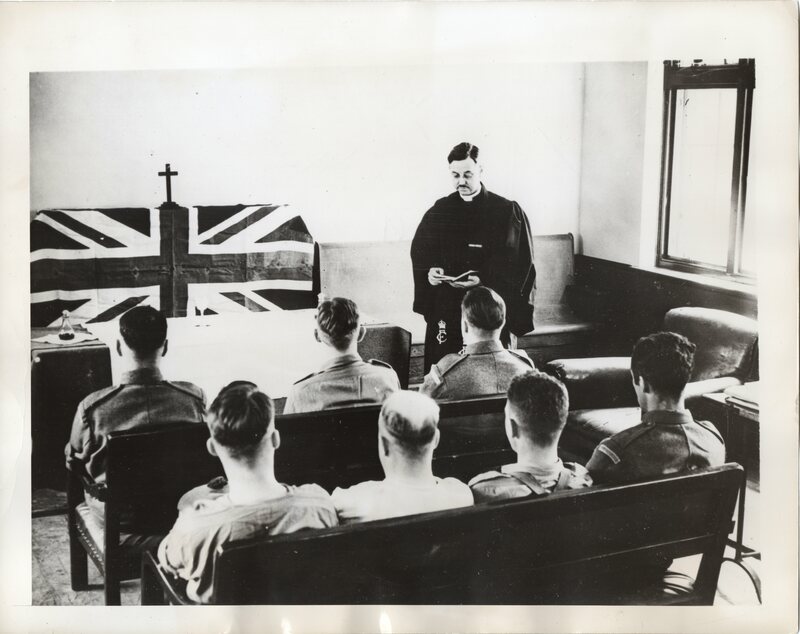 A scene in the chapel as Capt. Coll conducts mid-week communion service. Note the military decoration on his robe. (8/22/41)” (author’s collection). 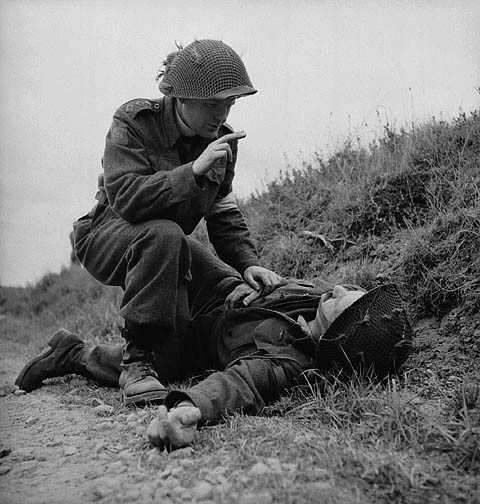 H/Captain Robert Seaborn, Chaplain of the 1st Battalion, The Canadian Scottish Regiment, giving absolution to an unidentified soldier of the 3rd Canadian Infantry Division near Caen, France, 15 July 1944. Canadian altar during occupation of Germany, Aurich, in north west Germany ca. 1945 (author’s collection). “Aurich, N.W. Germany. H/Capt. John H. Dicker of the 4th/Royal Winnipeg Rifle Regiment, outside the part of the ex-German Naval Barracks used as our officers’ mess. Taken on a Sunday about September (?) 1945” (author’s collection). 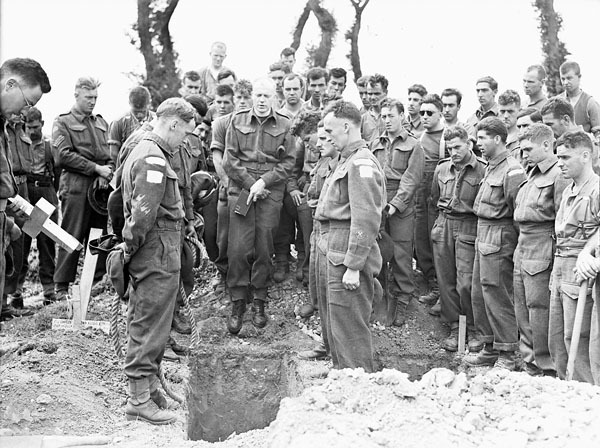 Group of Canadian Soldiers, including several chaplains, Aurich, north west Germany, ca. 1945 (author’s collection). “Mayerthorpe, Alberta. Party present for dedication of service men’s plot in cemetery, May 8th 1951, 8:oo PM, Rev. J. H. Dicker – Padre (author’s collection). Chaplain Captain Ray Smith, deployed to Nepal as part of the Disaster Assistance Response Team, April 2015. Chaplain Smith is endorsed by The Wesleyan Church.